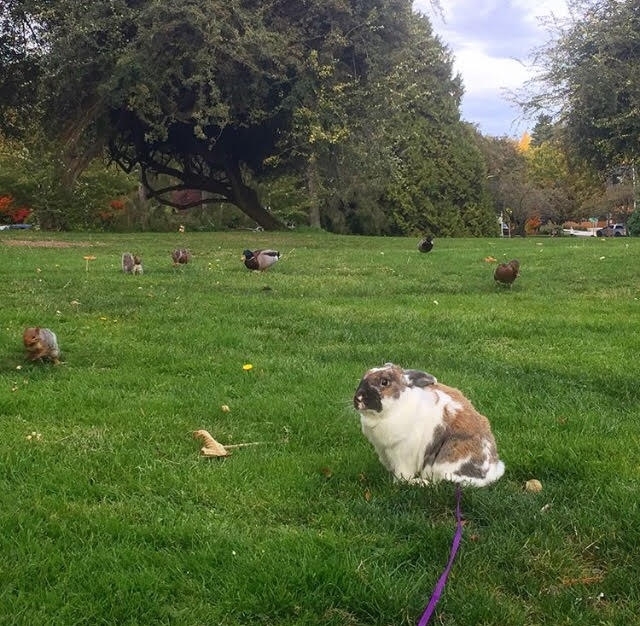 Years ago I heard stories of a rabbit that walked Green Lake on a leash. You better believe I have been hoping to run into this adorable creature ever since. 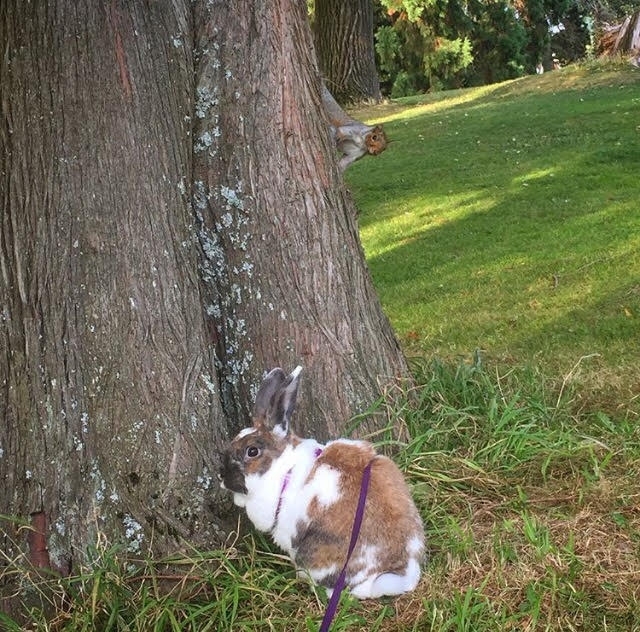 Recently, a friend – former Greenlaker contributor Chelsea who despite moving out of state still keeps a tab on Green Lake – sent me a photo of the bunny at Green Lake. So here’s the story: PJ is a Lion head/Rex mix who has been walking Green Lake since he was a young bunny. The 4-year-old explores Gas Works Park, Golden Gardens and all over the NW by leash. After a recent move away from and back to the area, he spends his days befriending squirrels and going with his owner to work in a veterinary practice. Want to follow him on Instagram (because of course he has his own Instagram account), check him out at @pj_bunnylove. Special thanks to owner Deana for the info and the photos. 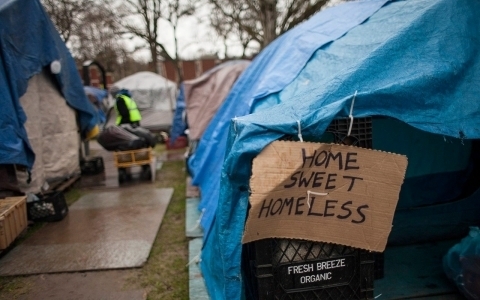 Last Fall we wrote about a proposed law that was endorsed by city council member, Mike O’Brien, that would allow homeless individuals to camp legally in areas of the city that are currently illegal including some parks, greenbelts, school grounds and sidewalks. According to Speak Out Seattle, more than 21,000 signatures were gathered in just six days rejecting that proposed law. Based on the emails, calls and signatures in opposition, the Seattle City Council decided not to even take a vote on the proposal. Now, a similar proposal is being discussed. Sign the petition before the City Council’s final budget meeting on November 1. The ipetition circulating has more than 2,000 signatures and helps send a strong message to City Council members that this is not the right approach. Stay informed: The stats are mind boggling. And the problem is only getting worse. Special thanks to the several citizens that emailed us over the weekend to tell us about this proposal! The only way a democracy works is through informed citizens like you. Does Green Lake’s water level seem low? You aren’t imagining it, it really is. We received a tip from Greenlaker Garet Munger who has been monitoring the water level for the past four years. He shared his data and insights with us. CharlieChester (our mixed cocker and poodle) and I have been making regular, nearly daily visits to Green Lake since moving closer to the lake in 2012. Most days we make a complete circuit around the lake. To satisfy my own curiosity, I have been measuring and keeping a record of the water level in Green Lake since August 2013. I measure the level of the water at a fixed point on the dock by the boat rental at the north end of the lake. As anybody who has visited the lake will have observed, the water level in the lake is currently at a very low level. By my records, the level today (September 7, 2017) is near the lowest level it has been over the five Septembers for which I have recorded. The lowest level came on August 28, 2015. That lowest level was about ½” below today’s level. In 2015, the water level came up after the 28th with a storm event that produced about 1 ¾” of rain. This summer has been an unusually almost record setting year for the lack of rain. It has also been warmer than average. 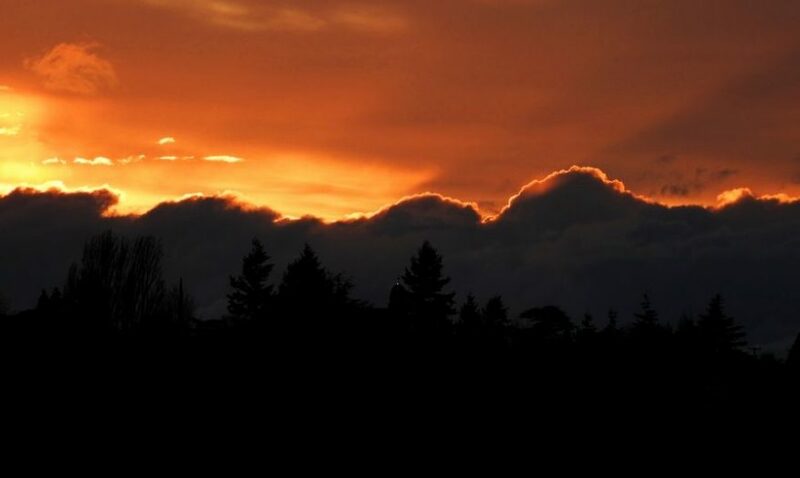 The last significant storm event for Seattle was June 16. Precipitation of almost ¾” fell on Green Lake during that storm. Since then there was 0.03 inches recorded at Green Lake on July 28, and .11 inches of rain on August 31. Rain fall is recorded at Green Lake by a weather station installed at the Small Craft Center at Green Lake. Daily results are published and reported here. The water level in Green Lake has gone down each day over the summer at a rate of about 1/8” per day. We can expect the water level to continue receding until the first storm event of the fall. 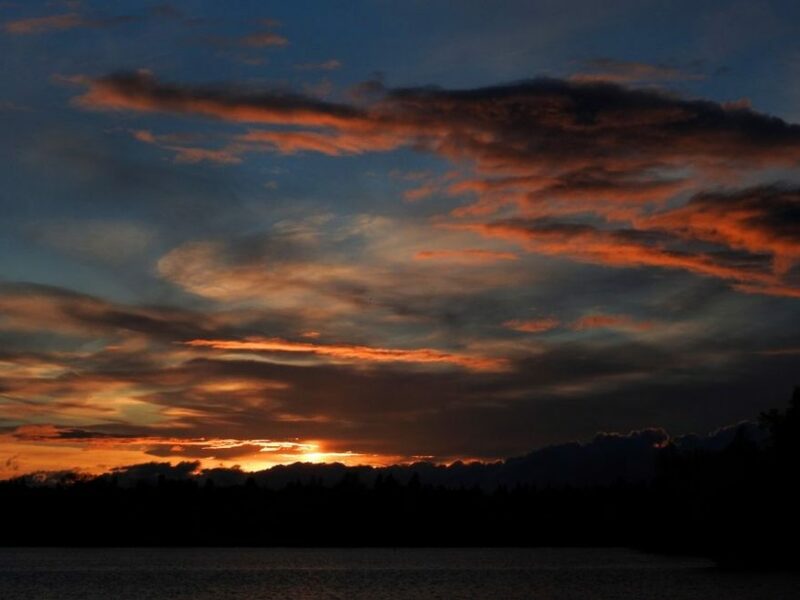 With higher temperatures, the rate of decline has been closer to ¼” per day. Over the five years for which I have measurements, the lowest level measured at the beginning of September has varied by almost three inches. To a large extent, these annual differences in summer water levels can be accounted for; by the variation in the amounts and pattern of precipitation over the summer, differences in temperatures, and differences in the water level at the beginning of the summer, and by slight differences in outflows from the lake during the summer months. Thank you Garet for sharing your citizen scientist skills with us! Earlier this week the Parks Department took down the illegally constructed skate bowl on Duck Island, a protected nature area. As we reported two weeks ago, that would likely come with some hefty costs. And this week we found out how much. The Parks Department anticipates that it will cost $33,000 to deconstruct the skate bowl and restore the area. We saw a lot of chatter on the Seattle Greenlaker Facebook page with neighbors asking why the cost was so high. One person commented that it certainly didn’t cost the “builders” that much to create it. 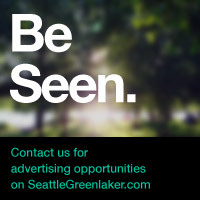 Thanks to a tip from local Greenlaker James C who has been emailing with Kelly Brown, a Interim Strategic Communications Advisor for Seattle Parks Department we have more info. While I’m grateful that the Parks Department is willing to invest in restoring that area for wildlife I can’t help but wonder how far this money could have gone to make some of the much needed updates to the Green Lake Community Center. We have reached out to the Seattle Police Department multiple times to find out more on any arrests or leads about this investigation and have not heard back. 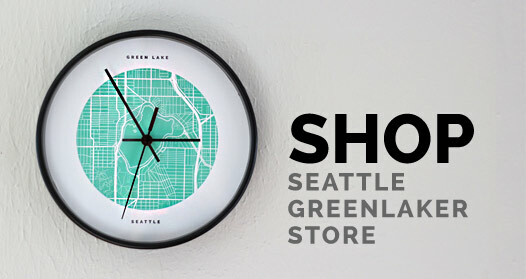 As people have voiced several times on Facebook and via email to Seattle Greenlaker recently, the people that did this should pay for the repairs. Our hope is that someday they will. This just in… the illegally-constructed Duck Island skate ramp is scheduled to be disassembled later this month. 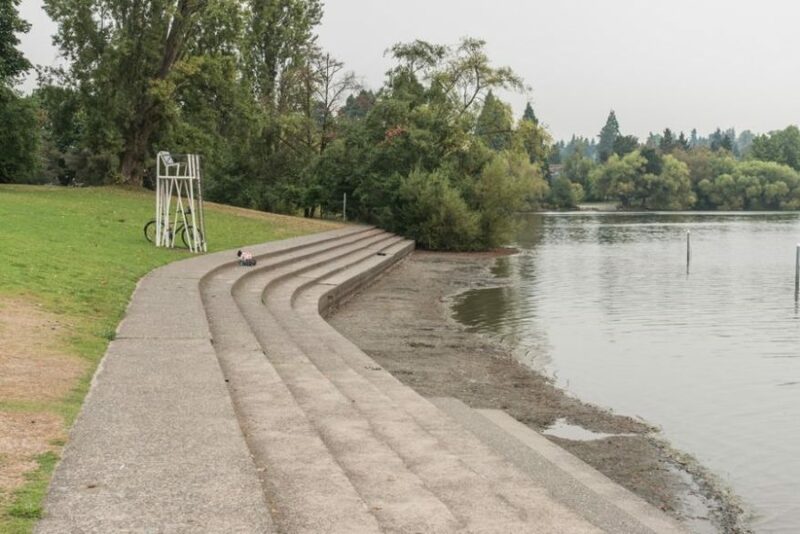 The Seattle Parks and Recreation Department confirms that the illegal skate ramp that was constructed earlier this summer on Duck Island will be removed starting Tuesday August 22. 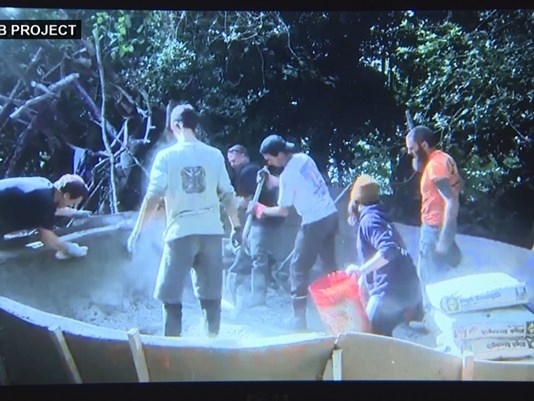 A Seattle Parks Spokesperson tells us that park crews will use jackhammers to break it apart. They will also use two boats and a floating dock/barge to make loading easier. A staging area will be located near the Aqua Theatre and will likely be roped off. But the park, water and walking path will remain open during that time. All of the remnants will be disposed of, which may be costly. Parks Department officials are currently working on the estimates of how much this entire “de-commissioning” may cost. We will be following up with the Parks Department to find the final number after it is disassembled. Work should be completed by August 24. 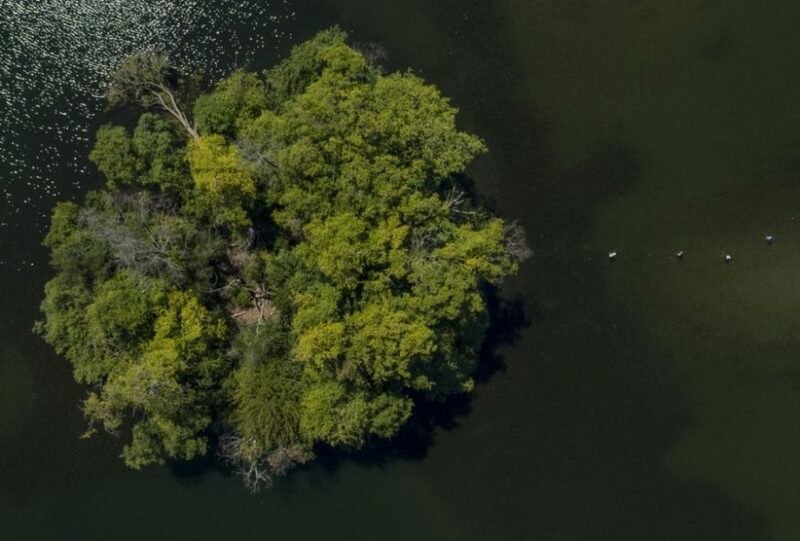 By now you have probably heard that Green Lake’s Duck Island has an illegal skate park. And if not, here’s the CliffsNotes version: a group of individuals built a skate “bowl” in secret as part of the Nike’s SB Project 58. The Nike endorsed site has since been taken down, but according to The Seattle Times, the project “encouraged skateboard shops to either extend an existing skatepark or build their own and upload the video so fans could vote on winners.” The video showed the group mixing concrete on the island to make the “bowl” of the skate structure. Needless to say the city and Seattle Parks Department are not happy. The island was designated as a nature reserve in the mid 1950s and humans are not allowed to step foot on the island. We’ve reached out to the Parks Department to find out more about what kind of damage the structure caused and what their next steps are for restoring the island. When we get a response we will update this post. According to an article in this morning’s Seattle Times, disassembling the structure could involve a floating dock. While many have expressed interest in seeing the skate structure, the Seattle Police are getting involved and humans are still warned to stay off the island. This photo was taken earlier this year before the white blossoming water lilies grew up around the “turtle log” at the west side of the lake. 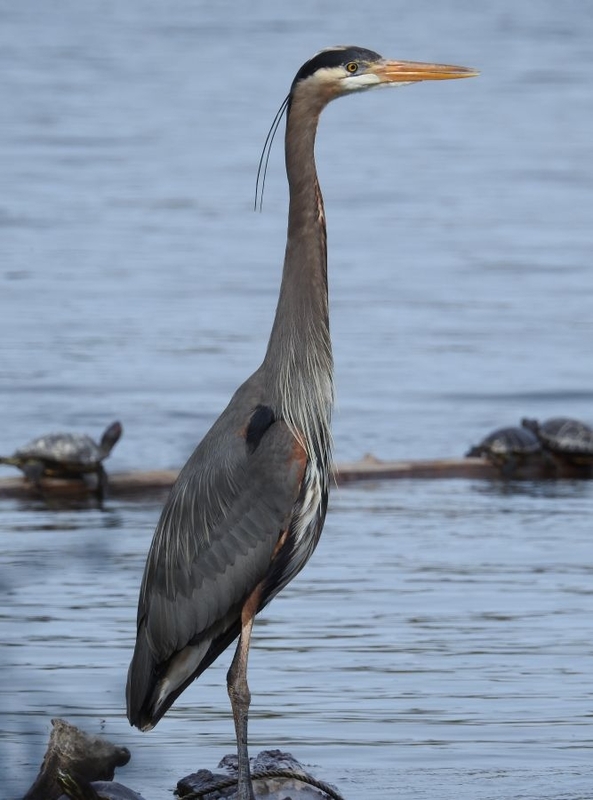 Has anyone else noticed that herons tend to congregate more on the west side of the lake? This may be why. 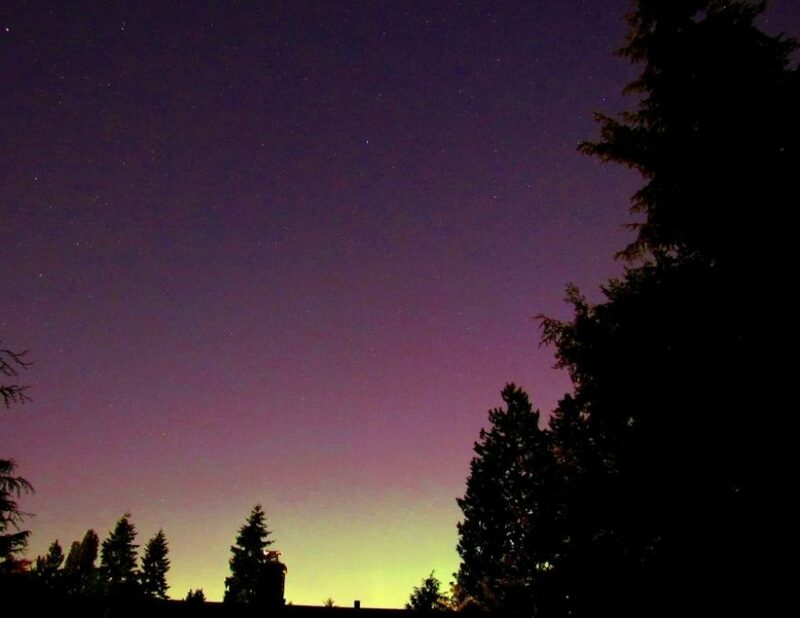 Did you see the Aurora Borealis from Green Lake last week? 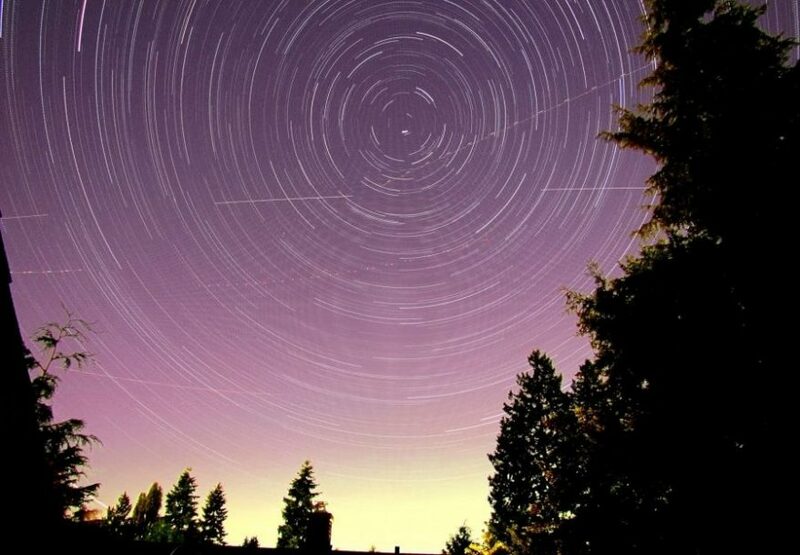 Seattle Greenlaker contributor Dustin Guy captured these photos from his home the night of May 27 during the big geomagnetic storm. Susan Helf, one of the organizers of the group ‘Save Evans Pool and Green Lake Community Center’ sent us two updates on the status of the Green Lake Community Center. The first is that the major repairs that many community members have been fighting to get done may start this Fall. According to Helf those include a new roof, areas damaged by leaks, replacement or repair of the pool boiler and water heater, ADA access improvements, replacement of the electrical panel in the gym and repair of the gym floor and pool systems. 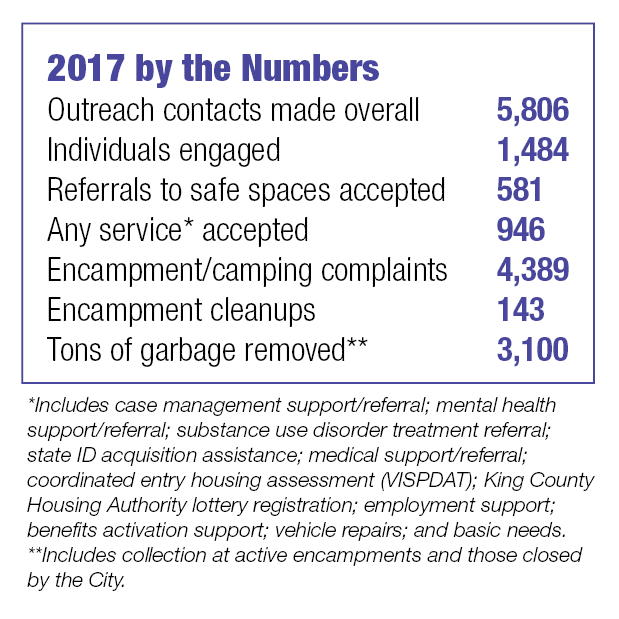 “While we are grateful that Seattle Parks and Recreation has finally agreed to do work that it first identified as necessary in 2008, we are not satisfied. We want SPR to replace or remodel the other seven community centers on its 2008 list: Queen Anne CC, Loyal Heights CC, South Park CC, Hiawatha CC, Magnolia CC, Lake City CC and Jefferson Park CC, using public money. We also want SPR to abandon any scheme of privatizing our beloved community centers and pools to that end, we’ve formed a new city-wide coalition: “Seattle Community Centers and Pools for All,” a group of parks activists who oppose privatization of park facilities and want our community centers repaired or replaced using public money. Our coalition has written a petition to the Seattle City Council/Seattle Park District Board. On Saturday, May 13 at 2 p.m. in front of the Green Lake Community Center, our coalition will launch this petition, which will make two demands: 1) NO privatization of pools or community centers and 2) remodel or replace all eight community centers identified by Parks and Recreation. In 1952, North End neighbors gathered 50,000 signatures to persuade Seattle Parks to build Evans Pool. With a current city population twice the size it was in 1952, we hope we can do as well. Our petition will send an unambiguous message to Seattle Parks and the City Council: Our community centers and pools are a precious focus of our neighborhoods and we want them to stay under local control and public management.